The 8800GT review was SOLID, but based on the comparisons you made with the 8800GT, don't you think you should include it here? You did 8800GT vs GTX in the last article, so don't you think you should do 8800GTS vs. GT vs. GTX? But instead you jump to Ultra. I guess it's great that we can go BACK to the 8800GT article and then kinda interpolate how the GTS will do against the GTX, and that's why I hate about reviews that don't include more info for our benefit. I don't see why a lot of these graphs can't be combined together? Except that to get a decent cooler on the 8800GT you have to spend another $40 at least for an aftermarket cooler. I am sorry you feel that way, my EVGA 256-P3-N791-AR 8800gt 256 comes with the re-designed heatsink and fan and all I had to do was pull a slider to get 710 1720 1000 clocks, and it didn't overheat. 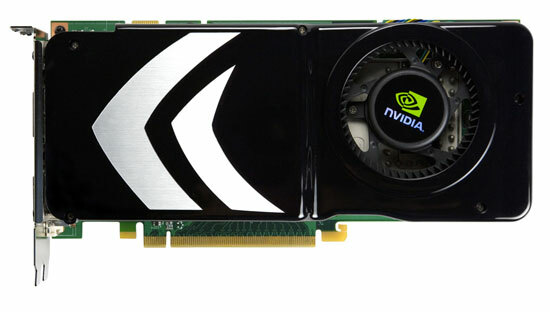 Most of the newer GT's (possibly all the 256mb ones) are coming with a better cooling solution. As for the GTS, yes, great, if you have 2 slots for cooling, not everyone does. Oh, yeah, and a spare $100-150 for only 16 more stream processors?? My GT has the same memory bandwidth (64GB/s) when I pull the slider to 1Ghz(2G DDR). Did I miss this in the article or in the comments or has no one mentioned that this new gen card won't be supporting directX 10.1? and that doesn't bother anyone interested in purchasing this card? I'll apologize if they acknowledge their mistake and include 8xAA in their tests from now on, I think cards are powerful to the point now were it should be happening in the mid/high range cards anyway. Why's this matter? most of those frame rates aren't playable? Well not quite as you saw Oblvion and Prey were, furthermore that site in particular only really tested the very newest games. In every single one of those with the exception of FEAR and Company of heroes in DX9 mode the 8800GT's framerates literally drop like a freaking rock, in some cases it's performance getting cut in more then half while the 3870's really takes much of hits at all and because of this the 3870 overtakes the 8800GT at this level of AA. 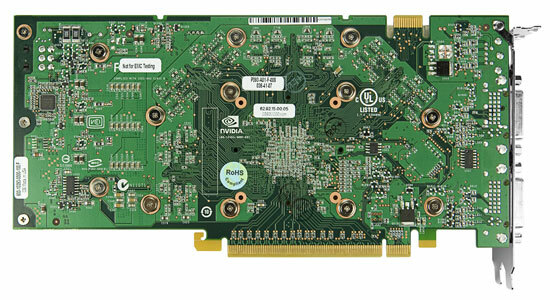 I bought the EVGA 8800GT 256MB from Newegg on Sunday for $215, of course they are long gone by now. I hope that the prices fall and the EVGA Step-Up program will let me get something nice within the 90-days, after this madness is over. Either way my monitor is only 1280x1024, and I am not married to AA, so this seems the best choice, for now. I am still waiting for some good drivers, I barely beat my 3Dmark01 score(+200) against my old 7900GS 650mhz, that is pretty sad, I don't think that these drivers are properly functional yet. Stereoscopic 3D gaming is out the window too, I had a spontaneous reboot already, whether this is the fault of the GT, all 8 series cards, dual-core processor, non-existent stereo drivers or some wacky combination, I don't know. When you guys get the EVGA 1800mhz card to bench, let us know asap, they don't claim it as a "clocked" card on the line-up, or in the RAM. I got 43/19/115 framerate in World In Conflict Very High settings, 1280x1024 on an x2 4600/2GB DDR2 800/ DFI Infinity II/M2, not bad for the money.